Aliaksei Syrel announced a new list for Brick (the new widget core) on top of Bloc (the future morph core designed by Alain Plantec – You can get access to Bloc via the launcher in the contribution list). – List doesn’t care what kind of morphs to contain. – Flexible height of elements. Any will do. – Elements can be partially visible. – Different kind of caches. 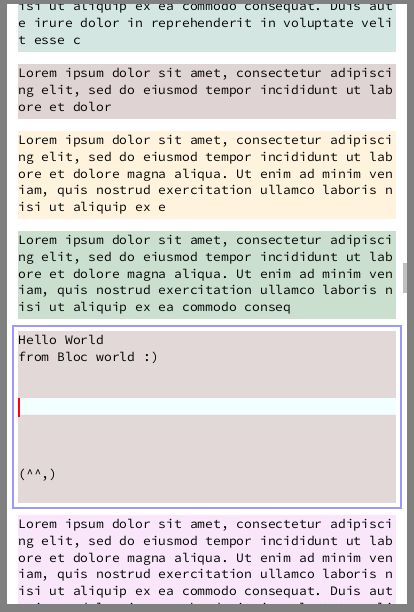 Esteban Lorenzano started to develop a new list widget to replace all the widgets into Pharo. My idea is to ask community help finish it. Implementation uses datasources to feed the list, so in theory you can browse infinite rows without loosing speed. [ Object browse ] timeToRun asMilliSeconds. -> ~150ms with FastTable, always. some details has to be around too… but this is a good design, taken from Cocoa… is years better than the naive implementation of old PluggableListMorph and better than the strategy used by NewList (spawning threads all around). Repository is open so anybody can contribute. 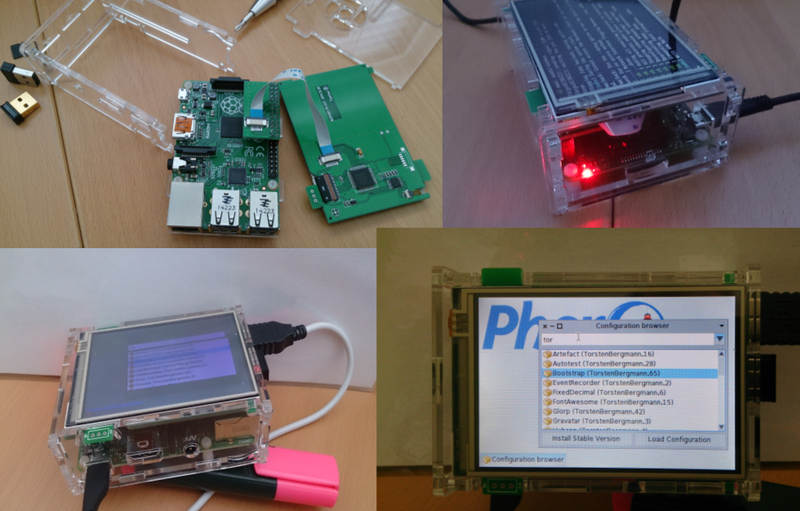 worked out of the box on Raspbian. Nice! Finally I’ve found some time to release some of my code I’ve been using the last years. It is a project around system monitoring. 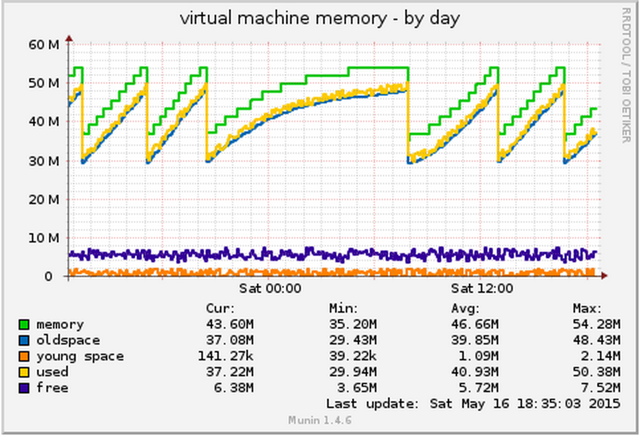 It defines system parameters to watch and integrates them with popular tools like munin, monit and nagios/icinga/… As an example the following picture shows the monitoring of the vm memory over a day. System monitoring is basically about monitoring system parameters in order to send alerts when thresholds are exceeded or to plot graphs that enables one to estimate further progression of image behaviour. Hopy you enjoy it. And bug me if you have questions or something is not working. We can parse code with syntax errors: it generates partial ASTs with the faulty part of the input as a RBParseErrorNode. is raised at runtime instead of compile time. Future work: introduce a RuntimeSyntaxError that can be turned off per error and globally. 1.25 mixedNumberString = '1¼'. "use special ASCII characters when possible"
Teapot is micro web framework that focuses on simplicity and ease of use. I’m pleased to announce the release 0.1 of Garage, a database driver API. Garage is meant to be a common interface to access several database servers, in a JDBC style. We have a nice test suite (that maybe you can help to enlarge) that is tested every day in Jenkins . – documentation of features such as statements, transactions, cursored fetches. Feedback (and contributions) are very welcome!